These two-magnet set features two images from The Farmers' Museum Plowline Collection. Female Hop Pickers, ca. 1880-1889, Arthur J. Telfer, glass plate negative, H: 5 x W: 7 in. 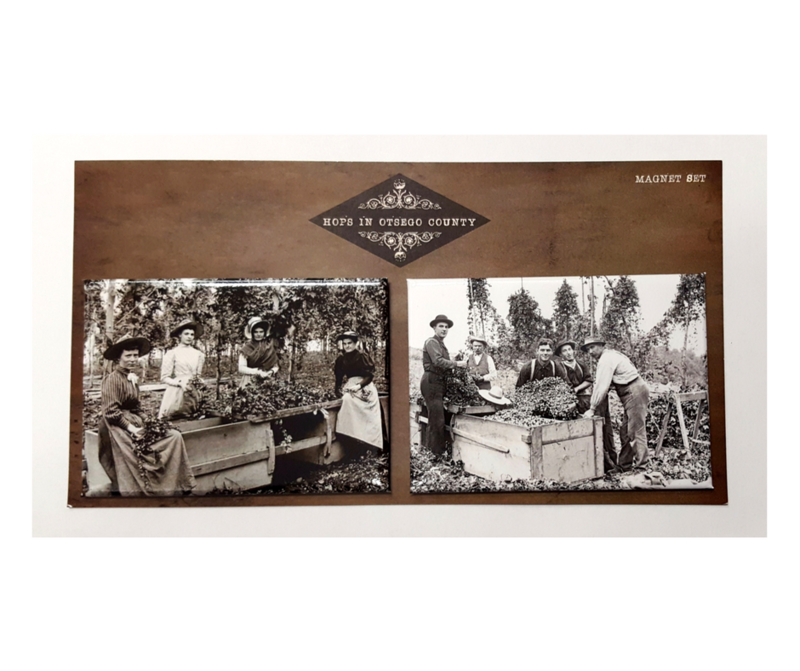 Hops Pickers, 1900, Arthur J. Telfer, glass plate negative, H: 5 x W 7 in.